Last week came the devastating news that two men opened fire at gender reveal party in Ohio, leaving one woman dead and eight injured. “Two guys just came in and shot people in the house,” a woman outside the home said during a 911 call, according to WCPO. As Fox News and a number of other media outlets reported at the time, host and mum-to-be Cheyanne Willis was shot in the leg. When she left hospital, she claimed to have lost her baby. But in a shocking twist, Colerain Township police claim 21-year-old Willis was never pregnant in the first place. Police spokesman James Love told PEOPLE that the revelation that Willis was not pregnant had hampered investigations. “As ridiculous as it might be, it’s not a crime to lie, it’s not a crime to have a party over that lie,” he said. Authorities are still trying to work out why the 21-year-old was hosting the party in the first place is she was not pregnant. 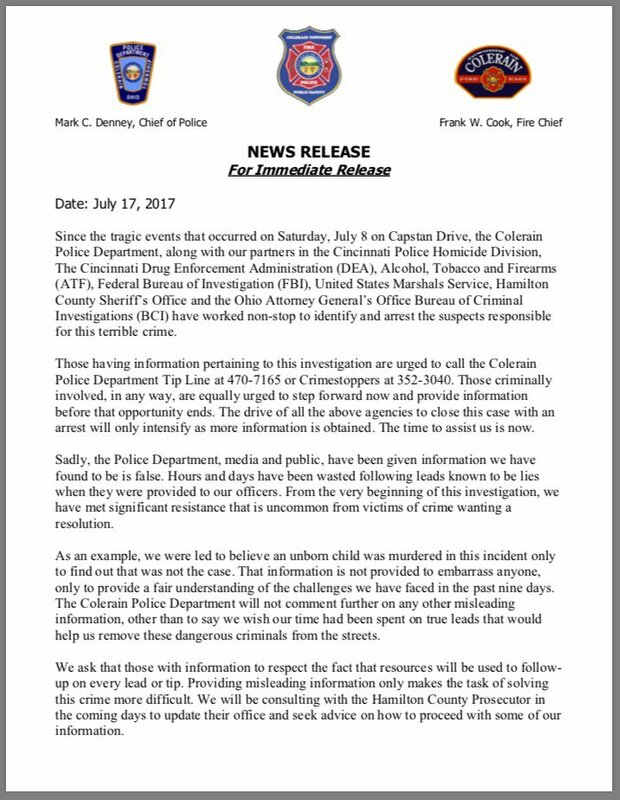 "All we have at this point is speculation," Colerain Township Police Chief Mark Denney said in statement. PEOPLE also reports that during the party, Willis posted announced her baby would be a boy and posted pictures on social media.